In this episode, I share with you the genesis of the book I have written on the Corvette. It is written from the perspective of an insider who led the team and helped make it all happen for 17 years of Corvette history. The book allows the reader to approach the story at three levels, in pictures with captions, as the main stream story and as side bars that tell interesting side lights to Corvette. Click here to purchase an autographed copy of the book. 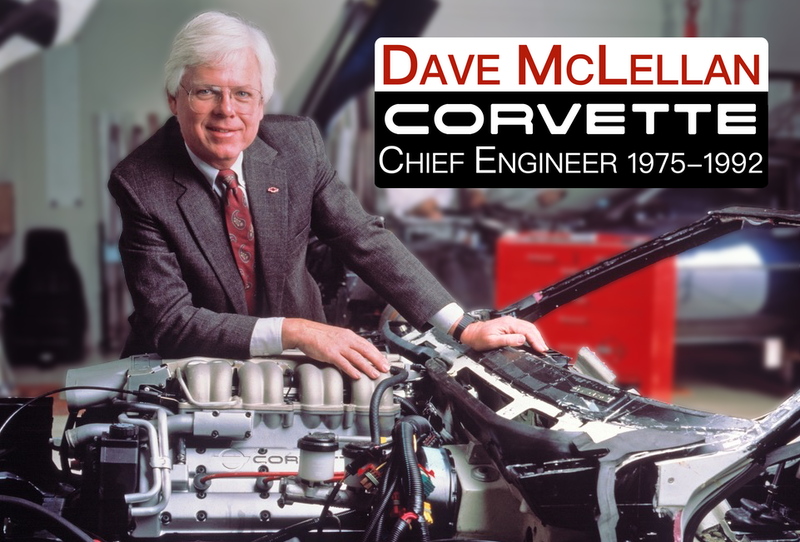 You might be interested in hearing episode #2 of the Corvette Chief Podcast. Here’s a direct link..
Dave, I just finished your book and I loved every minute of it. This book should be read by every corvette enthusiast and everyone interested in a career in engineering. Thank you for relating a fascinating story. I’ll be rereading this one. Dave: I was able to read your book back in 2003, right after I had purchased my 1999 C-5. I highly recommend this book to all Corvette owners as it approaches the topic with an insight that is rational and thorough. It was a joy to read. I have read your book some years back and really enjoyed getting the inside scoop on the corvette ups and downs over the years. I have owned 4 vettes and have a love afair with the zr1 and have a copy, original of course of the 1990 vette zr1 with your inner group of engineers. I watch it often and each time come away with more refined info about the vette and the people behind it. You have done a wonderful job and have inspired the many in vette land. Thanks Dave.